What is GHIN and How Do Golfers Use It? What is 'GHIN,' and How Do Golfers Use It? A screenshot detail of the utilitarian GHIN.com website homepage. GHIN (pronounced "jin") is an acronym that stands for "Golf Handicap and Information Network," which is a handicapping service provided by the United States Golf Association (USGA) to participating associations and clubs. Associations and clubs sign up to use the service, allowing their member golfers to post scores, calculate handicaps and retrieve handicap information online, from any computer. GHIN.com is the website home of the GHIN service. The GHIN service has been around since 1981. Prior to that, individual clubs and associations had to track their members' handicaps themselves. Today there are more than 14,000 golf clubs and more than 2.3 million golfers using GHIN, and usage has expanded outside the United States, too. 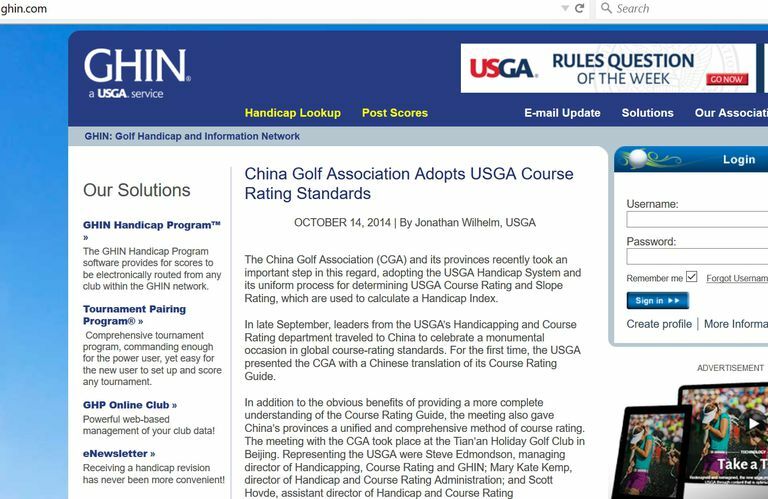 For example, in 2014 the China Golf Association adopted the USGA Handicap System and the GHIN service for its members to use. Golfers who belong to a club or association that uses GHIN - there is a club search on the GHIN website - have "GHIN numbers" to access the GHIN service. Access can be through GHIN.com, but might more likely be through a state or regional association website. GHIN also has mobile apps available. Golfers post scores under the USGA Handicap System, and GHIN tracks those scores and updates the golfers' handicap indexes. That is the reason for GHIN's existence - posting and tracking of USGA handicap indexes - but not the only thing GHIN provides member golfers. 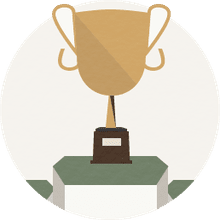 GHIN also includes the Tournament Pairing Program (TPP), a golf tournament management software that helps golf associations and clubs run tournaments. Associations, clubs and individual golfers will also find other game-management and stat tracking features included in the GHIN service. Is There Anything on GHIN.com for Non-Members? Yes. Golfers who do not belong to a GHIN-licensed club or association - or who do not even have handicaps - can check a news archive or look up USGA-licensed associations. But the best thing available to the general public is the Handicap Lookup page. On that page, anyone can search for the handicap index of any golfer you know carries a USGA Handicap. All you need to know is the golfer's name and the state in which he or she plays golf. For example, we selected "California," entered "Sampras" for the last name and "Pete" for the first name, and discovered that (at the time this was written) tennis legend Pete Sampras had a 0.5 USGA Handicap Index. And clicking on Sampras' name in the search result brings up the clubs to which he belongs, plus his 20 most recent golf scores (that he posted to GHIN). At the time of writing, Sampras' scores ranged from a low of 69 to a high of 87. What Are Golf Handicaps, Anyway?